Guest Post for Vintage May! I’ve been looking forward to this day for so long! I’m guest posting over at Skirt as Top for Vintage May! I had the hardest time thinking of a project for this series, because there are so many wonderful vintage-inspired possibilities. 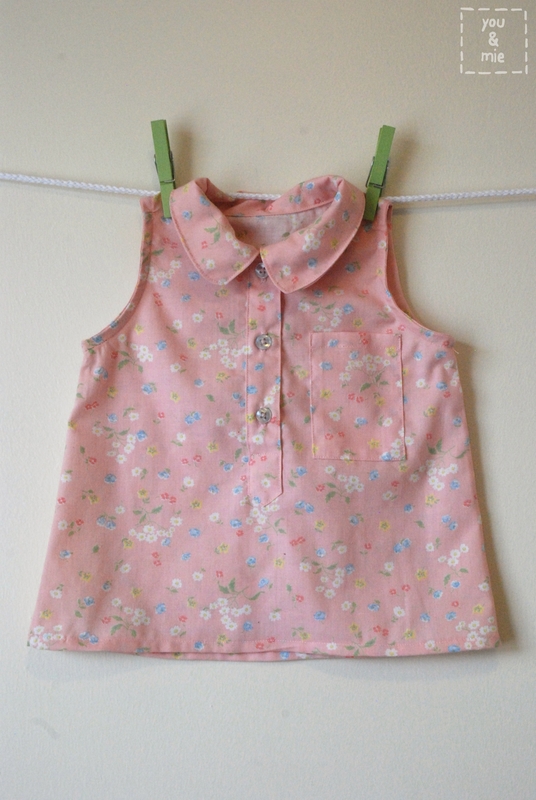 But I finally decided on a suspender skirt for my daughter based some outfits I found in old family photos! Go check out my inspiration, the suspender skirt I made for Yuki, and a full tutorial HERE! And if you like her vintage fabric sleeveless top, come back tomorrow for a little how-to for this remix of the Jump Rope Dress pattern by Oliver + S.
Thank you, Kristin and Jess for hosting a great series! If you want to check out the vintage awesomeness, take a look at all the Vintage May posts on Skirt as Top and Craftiness is not Optional. It has been so much fun! This entry was posted in guest post and tagged jumper, suspender skirt, vintage, Vintage May by Cherie. Bookmark the permalink. seriously, you are sooooooo talented. unbelievable. it is so adorable. What a great idea! And I love the fabric for the sleeveless top. Perfect combination. And your little daughter is just darling…!